Mix Juice’s Candy Cane e-liquid is a gorgeous sweet peppermint blend vape juice that’s just too good to be limited just to December and Christmas. Now available all year round – the best Candy Cane e-liquid you can get! 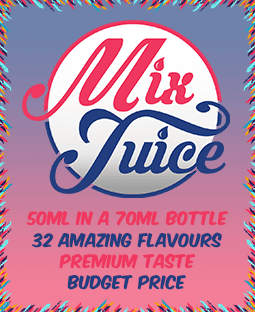 You can buy your Mix Juice Candy Cane on its own, nicotine free or you can add 10ml or 20ml or Nic Shot to create your desired strength.